It has been five years since Impactstory co-founder Dr. Jason Priem coined the term altmetrics to cover the collection and analysis of links to academic papers from social media. The 2nd Altmetrics Conference in Amsterdam this fall hosted a discussion with the authors of the 2010 Altmetrics Manifesto – Jason, Dr. Paul Groth, who joined Elsevier this year as Disruptive Technology Director for Elsevier Labs; Dr. Cameron Neylon , Professor of Research Communications at the Center for Culture & Technology; and Dr. Dario Taraborelli, a behavioral scientist and social computing researcher who runs Research for the Wikimedia Foundation – to discuss the last five years and the future of this growing field. It has been a remarkable period of activity. Start-ups such as Altmetric.com and Impactstory.org are mining social networks and blogs for links to research papers; hundreds of academic papers have been written – and interest in the research community is only accelerating. 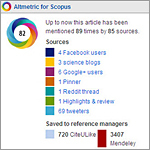 Elsevier has invested in the development of the new altmetrics dashboard on Scopus, and in the acquisition of Newsflo, which looks for mentions of authors, institutions and papers in the mass media, and whose data is being made available on myresearchdashboard.com and soon in SciVal). Has altmetrics outgrown its name? Should we drop the “alt” in altmetrics? Is there a better name? Tell us what you think in the comments. Given this interest and the success of last year’s 1:AM conference in London, it was no surprise that the 2:AM Altmetrics Conference, hack day and sister event, the academically focused Altmetrics 15, were so successful. Over 150 people – predominantly librarians – gathered in Amsterdam on October 7 and 8 to learn, contribute and discuss issues from around the field. The most notable question was: After five years, is it time to drop the “alt”? Is altmetrics ready for the big time? To date, the focus on altmetrics has been largely been on the use of altmetrics as a tool to give a different picture from traditional, citation-based metrics, and a number of presentations were in this area. 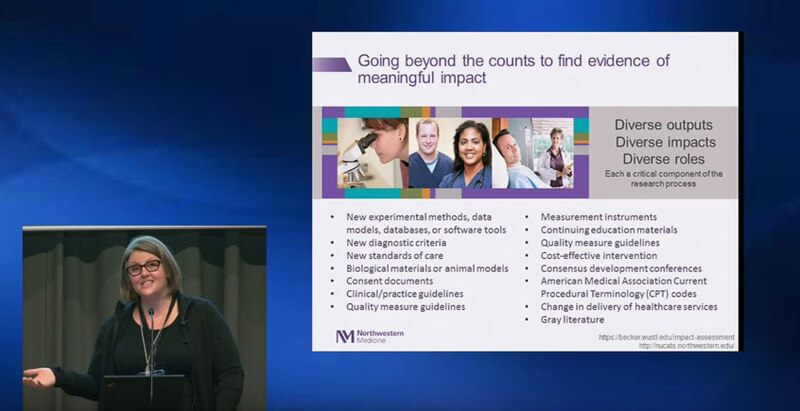 Other speakers expressed hope that altmetrics will contribute to understanding the social impact of research (an area that Elsevier is supporting, via its collaboration with the Insight unit in the University of Ireland). Is it ironic that a success indicator for altmetrics might be that we see the “alt” being dropped? The future certainly promises to cement the field into research infrastructure. 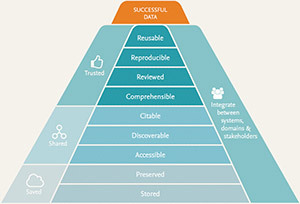 Even as altmetrics are being brought into establishment, and other types of metrics are being developed to cover research outputs such as datasets and software, the move to extend their reach and the science behind them is being planned. There are active projects to understand the meaning or sentiment involved in social citations, and one of the biggest talking points at the Altmetrics 15 workshop was the potential for generating social impact models from data derived from social networks. The organizing committee of the Altmetrics Conference are taking a couple of months off – expect to see announcements on the location of 3:AM early this year. 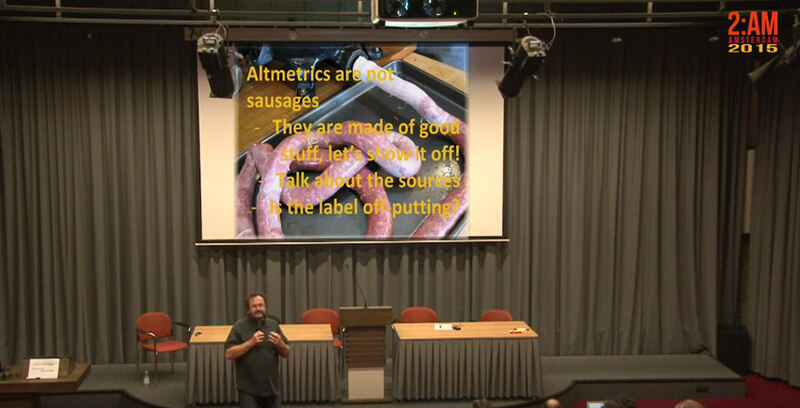 In the meanwhile, why not visit altmetricsconference.com and view the videos? 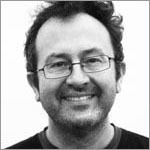 Mike Taylor (@herrison) has been part of Elsevier for almost 20 years, and has been involved in altmetrics for almost five years. 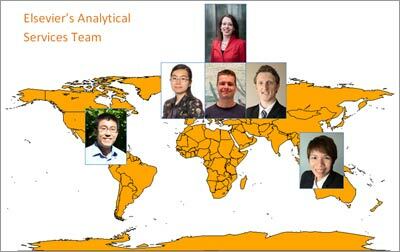 Currently, he is Senior Product Manager in the Research Metrics group. He co-chairs the NISO Working Group on metrics for non-traditional research outputs, and is one of the founders and organizers of the Altmetrics Conference series.